3 West Sussex firsts in one summer! Orius laevigatus – I came across quite a few of these small bugs on various bushes in my garden including Yew and our Buddleja. They may be small, but they are also predatory, and will feed on small invertebrates like bug nymphs and so on. There are 12 records in the Sussex Biodiversity Record Centre database for this species, but believe it or not they are all from East Sussex! Most of the records are concentrated around nature reserves like Rye Harbour, so I’m really pleased to have found it in the garden! 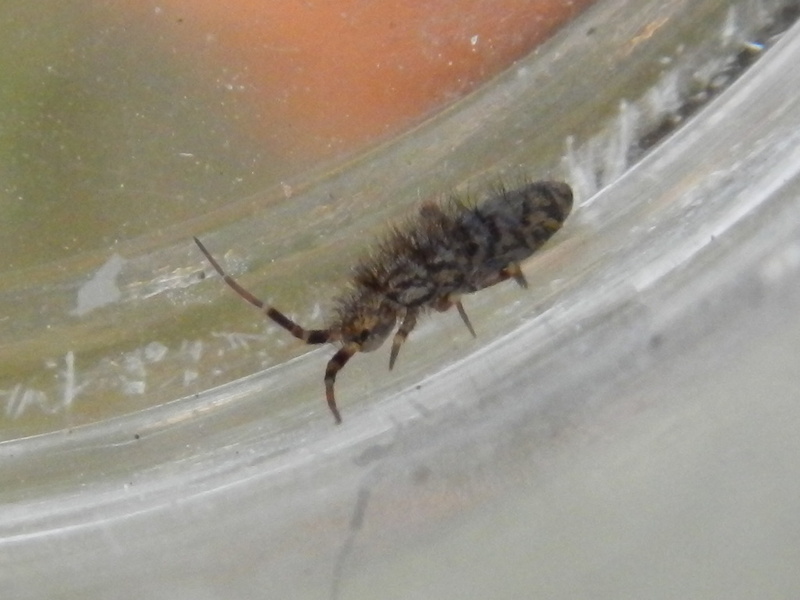 Entomobrya nivalis – Entomobrya nivalis is a species of springtail, which are tiny invertebrates you can sometimes find hopping around among leaf litter. However, this is quite a conspicuous species and is covered in stiff bristles and has greyish mottling all over. This time there are only 9 records in the Sussex Biodiversity Record Centre database, but again they are all in East Sussex! Now, I’ve saved the best for last – Bright Four-spined Legionnaire (Chorisops nagatomii) – The Bright Four-spined Legionnaire is a fly with not only a great name but is quite colourful too. It has a yellow abdomen with black stripes running horizontally across it as well as a beautiful iridescent blue-green thorax. 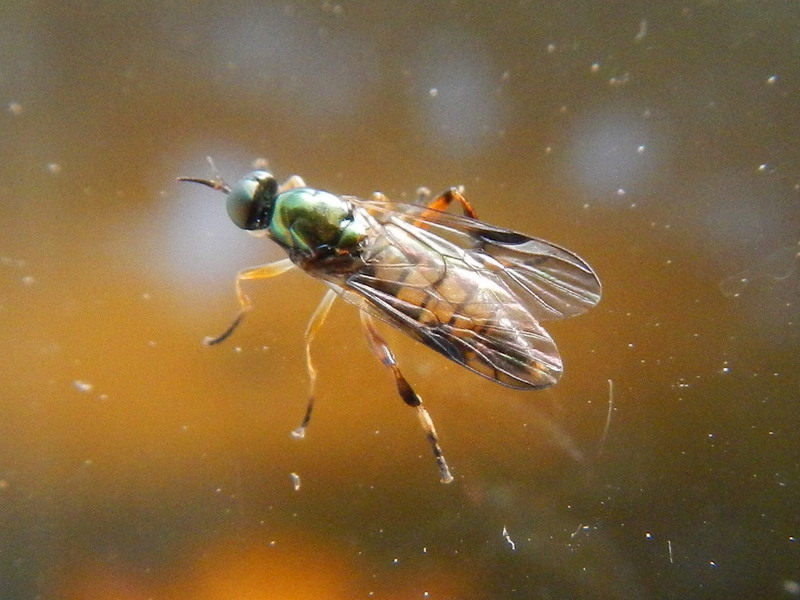 I was very surprised to find it on my kitchen window while I was having lunch, and even more so to find out that there are only 2 records for Sussex and neither of them in West Sussex!